Once a flea finds a new host (your cat or dog) all you need is one male and one female flea and within 24 hours the female flea will start laying 40-50 eggs per day! The eggs fall off your pet (generally in the areas your pet spends most of their time) and within a few days they hatch into larvae. Larvae can move up to half a meter and if they find a protected microhabitat, somewhere dark and humid, they then spin a cocoon and form pupae. In 1-2 weeks (although they can remain in their cocoons for up to a year) they emerge as adults. Newly emerged adult fleas can then jump up to 45cm at a time until they find a host to infest. Only 1-5% of the population consists of the adult fleas on your pet. The other 95% consists of the immature stages (eggs, larvae and pupae) within the environment. Therefore, the fleas you see on your pet are only the tip of the iceberg and in severe infestations the environment (where the eggs, larvae and pupae occur) must also be tackled as adults will continue to emerge and re-infest your pet. Where Does Your Pet Acquire New Fleas From? The eggs then hatch into larvae, form cocoons and later emerge as adults that go on to infest new hosts. Humans can also bring fleas into the home as they 'hitch-hike' on our clothing. Veterinary flea products, including spot-on treatments and oral medication, are safe and work fast to kill the adult fleas on your pets. Some products also target the immature stages found in the environment or cause females to produce non-viable eggs. 1. I recommend that you first visit your vet so that your pet can have a health-check and you can purchase your veterinary registered products. Your vet can suggest a product that is both safe for your pet and suitable for their lifestyle. For example, spot-on treatment (applied on the skin between the shoulder blades) may not be suitable for pets that are bathed or swim a lot. New flea products are always being developed and your vet can tell you about the latest product developments. They can show you how to apply the flea control effectively and they can also weigh your pet to make sure they are receiving the correct dose. While discussing flea control they can give your pet a general health-check and make sure there are no underlying health concerns. If you have problems with other parasites in your area your vet can also recommend a combination product to limit the numbers of treatments required. Flea control you buy from your vet should be safe and effective. 2. Always read and follow label instructions carefully. It is really important to make sure that any veterinary drugs you are using are for the correct species; sadly I have seen cats poisoned because they have been treated with a product intended for dogs. NEVER use a product for dogs on a cat and visa versa. Only use a product on a kitten or puppy if it specifically says that it is safe to do so. 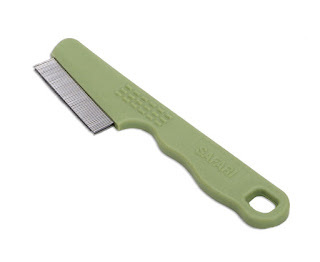 If your puppy or kitten is too young or small for flea control products then you can use a flea comb (available on Amazon) to remove fleas and eggs. Apply products as often as it says on the instructions and make sure you are applying the correct dose for the size of your pet. You will need to check the current weight of your pet before using flea control products, particularly if they are a growing puppy or kitten, or have recently lost or gained weight. If your pet is sick, on medication, old, pregnant, nursing or has had adverse reactions to flea products in the past consult your veterinarian first. If you notice any adverse reactions after application, such as depression, vomiting, diarrhea or excessive salivation, you can wash your pet with mild soap & water, and you must consult your veterinarian immediately. 3. Be patient. The initial treatment can take up to 4 hours and even 36 hours to kill all the fleas on your pet. Also, eggs, larvae and pupae in the environment will continue to develop into adults so it can take 3-8 weeks, occasionally 3 months and rarely even longer to eliminate fleas from your home. Very rarely, the problem can even get worse before it gets better. 4. Treat all the pets in your household. If you don't treat all your cats and dogs in your household any untreated pets can continue to harbour adult fleas, which will continue to produce eggs that will eventually emerge as adults to re-infest all your pets. Remember that rabbits, ferrets and hedgehogs can also harbour the same flea species that infest cats and dogs so you will need to consult your veterinarian in regards to treatment for them too. If you are treating multiple pets with spot-on flea control then keep them separated until the product has dried to prevent them from grooming each other and ingesting the drug or insecticide. 5. Target source points in your home with mechanical methods of control. 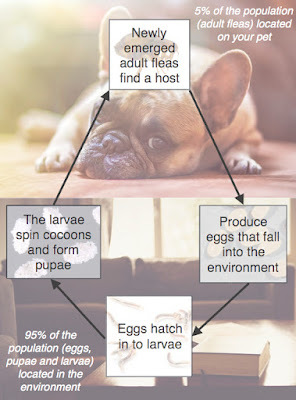 Source points are areas that your pet spends time, such as their bed or favourite chair, and these are the areas that you will find most of the eggs that have fallen off your pet as well as the larvae and pupae that have developed. Vacuuming is one of the best tools you have in reducing the flea biomass found in the environment. Every time you vacuum source points you collect 30-40% of the eggs, larvae and pupae. Remember, these immature stages survive best in dark and humid environments so pay particular attention to these areas when vacuuming. If you are trying to get a flea infestation under control ideally you should vacuum everyday and throw away the bag each time. I suggest you regularly wash your pet's bedding as well as any rugs that they use. You can also steam clean source points. If your pet has a favourite chair make sure you lift up and vacuum under any seat cushions as eggs can fall down the side. Although they cannot be your only method of flea control flea traps (available on Amazon) can be a useful method to catch any newly emerging fleas in the environment before they land on your pet. 6. Chemical control can be used for severe infestations. 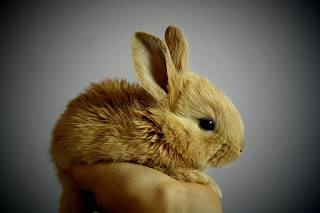 Some situations will require this extra and more intense method of control, for example, if the flea population is really large, your pet has flea allergy dermatitis or people in the home are being bitten. Total release aerosols, also known as 'foggers' and 'bombs', disperse insecticide throughout your home but are now considered old-fashioned as it is unnecessary to completely fill your home with potentially toxic chemicals. Handheld aerosol sprays for targeted treatment are much more efficient. 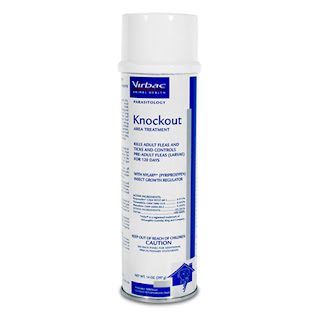 One of the best aerosol sprays is Virbac Flea Spray (available on Amazon), which contains insecticides to kill emerging adult fleas as well as an insect growth regulator (IGR) to target the eggs and larvae in the environment. Spray around source points, which are areas where your pet spends most of their time, and remember that immature fleas survive best in dark and humid areas, so target floor cracks, under your pet's bed, under cushion seats etc. Pupae, in their protected cocoons, are resistant to insecticides but can still be targeted with vacuuming. With any product you use always follow label instructions carefully and consult your veterinarian if there is anything you are unsure about. 7. You may wish to target the outside environment if you are having problems getting your flea situation under control and your yard is infested. 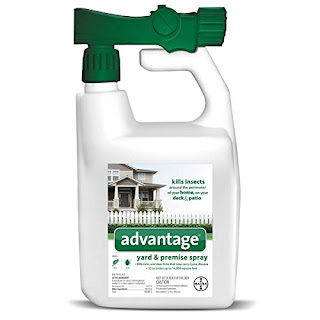 You can use a an insecticide or flea killer spray, such as Advantage Yard & Premise Spray (available on Amazon), specifically designed for outdoor use. Focus on shaded and protected areas, such as under shrubs, as these are where eggs and larvae are likely to survive. Remember to also target source points, which are areas where you pet spends time. Please read and follow label instructions carefully. As fleas like shaded and moist areas you can also try trimming back shrubs and regularly mowing your lawn to let light in. 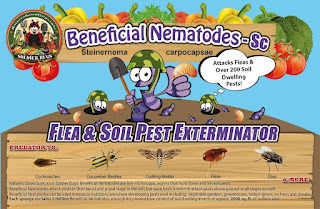 Also, many people have a lot of success with introducing nematodes (available on Amazon) into their garden, which are tiny roundworms that feed on flea larvae and pupae. 8. Don't remove the animal as newly emerging fleas will target humans instead. 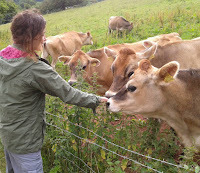 If spraying insecticides, inside or outside, you must follow the instructions as it is likely both pets and people must not enter treated areas until the spray has dried and the product is dispersed. However, do not be tempted to permanently prevent your pet from accessing any rooms with infestations; if the room is still being used by people and there are no animals around the fleas will start to target humans instead! You want the fleas to land on your pet so that the current flea control that they are on (spot-on, oral medication or injection) will kill them soon after they have jumped on. 9. Don't stop using flea control. In most cases it is important to keep your pets on lifelong flea control. Adult fleas can continue to emerge from pupae in the environment; flea eggs can drop off feral or wild animals that move through your garden, and humans can also bring fleas into the home on their clothing. In some cases you may wish to use seasonal control, which involves only using flea control in the warmer months and not over Winter. However, keep in mind that with central-heating our homes can now potentially harbour fleas all Winter long. 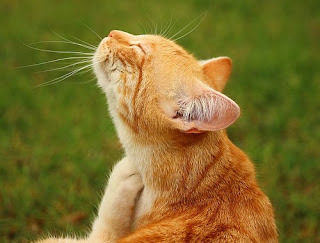 So even though fleas cause the most problems in Summer, they can remain active all year round. 10. Monitor. It is a good idea to regularly use a flea comb (available on Amazon) to check for adult fleas and flea dirt. Not only will the flea comb remove any fleas that happen to be on your pet, it is the best way to check for the presence of fleas, which can be missed by just checking visually. Monitoring is important to ensure your current flea control plan is working. Trouble-shooting - Still having problems with fleas? Are you applying the flea control product correctly to your pet? Spot-on products need to be applied to the skin, not the hair, and your pet must be dry before application as a wet coat can reduce efficacy. Some oral products need to be given with food. Read the instructions carefully and ask your vet to show you the correct method of administration. Are you applying the correct dosage for your pet? Get your pet weighed and make sure they are receiving the correct dosage. Does your pet swim or bathe frequently? 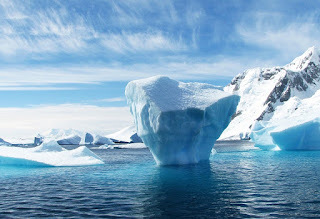 Regular contact with water can reduce the efficacy of spot-on products. Did the flea population diminish and then you stopped using flea control on your pet? You need to keep treating to stop re-infestation as frequently as the product instructs (most licensed products have a duration of activity of 4-6 weeks). Are you using mechanical methods of control to target immature fleas in the environment, such as frequent vacuuming? Target places your pet spends time and vacuum under seat cushions and under your pet's bed as fleas survive best in dark places. Are you using chemical methods of control, such as Virbac Flea Spray (available on Amazon), in your home? Target areas that your pet spends time as well as any dark places the immature fleas can survive. Are you treating all the pets in your home together? Any untreated pets can be a source of re-infestation. 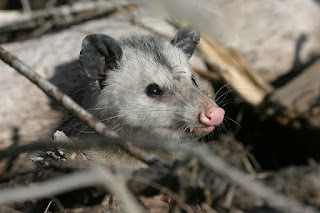 Remember ferrets and rabbits can also carry that cat flea, Ctenocephalides felis. Are you being patient? It can take several months to eliminate fleas so keep going with your flea control. However, it should not take more than 3 months. 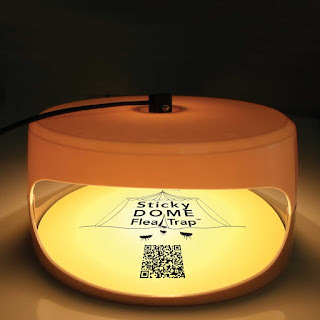 Have you tried using a flea trap (available on Amazon) to catch any new emerging adult fleas? If your pet spends time a lot of time in the yard or you have noticed a fleas infestation outdoors you can treat shaded areas with an insecticide yard spray or introduce nematodes into the soil that will feed on flea larvae and pupae. Are there any areas that your pet spends time that you have missed, such as under shrubs in the garden or perhaps they can access under the decking or shed? Is there wildlife or feral animals entering your garden that you need to try and prevent access to? Unfortunately there are no home remedies that I can currently recommend as none of them have had sufficient efficacy and safety testing. Wow thank you so much, I have been having problems with fleas for ages but hopefully this will help me get rid of them... I have learnt a lot!